Elena Gaita is a policy officer for corporate transparency at Transparency International. Brussels is quickly joining the ranks of cities where hipster cafes and eateries with quirky cakes and overpriced coffees are everywhere, offering treats for all kinds of diets. Upon a recent visit to one such cafe, I encountered some confusion on behalf of the staff. They had mixed-up the gluten free, vegan carrot cake, with the “regular” carrot cake, much to the dismay of my gluten intolerant friend. When I gallantly offered to test the two cakes, I was surprised to find that despite subtle differences in flavour and texture, I couldn’t tell which cake contained which ingredients. My coeliac companion was upset that she didn’t know which cake was full of ingredients which were bad for her or ones which were fine. When you can’t tell what’s on the inside of something, it removes the ability for people to scrutinise whether it’s good or bad. 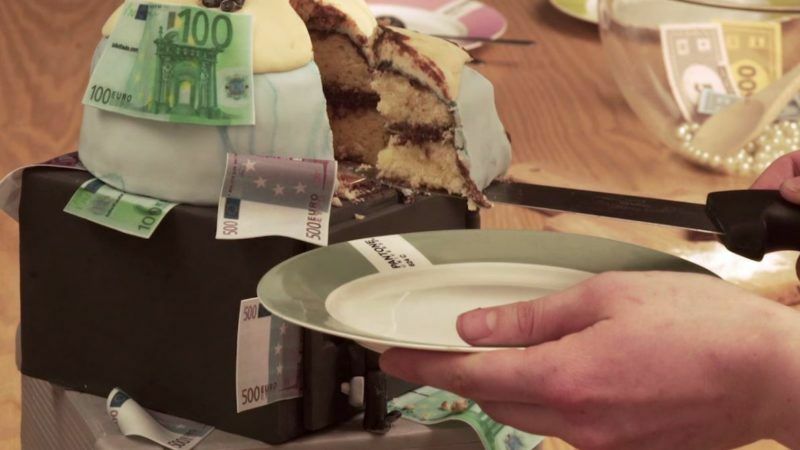 Much unlike cake, tax is something I’m sure most individuals would rather not have double helpings of. But, the ability to see what corporations pay in tax is vital to hold both them and the governments that host them to account. Yet, the problem of the global financial system, as shown by scandal after scandal, is its pervasive secrecy. We cannot see which corporations are paying what amounts of tax and where. This kind of secrecy allows multinationals’ profits to be channelled offshore away from the countries where they were generated. Which means that we can’t tell if corporations have received secret sweetheart deals to lower their global tax bills or if they have been colluding with corrupt governments for preferential treatment. On the outside we may just see the cake, but on the inside we have no idea what it contains. Today the European Parliament will vote on a key report on bringing about greater levels of transparency for multinational companies. With massive public outcry following the Luxleaks, Panama Papers and Bahama Leaks scandals the Parliament has a simple choice: does it opt to make a genuine change around the transparency of corporate taxes or will it leave enough loopholes to maintain current levels of secrecy? The current Commission’s proposals around public country-by-country reporting for multinationals would require companies to report their taxes and profits in European jurisdictions and tax havens only. Everywhere else on the planet they can lump their figures together and report as if it were one place. To loosely return to the cake metaphor, that’s like knowing what all the individual European ingredients are, say flour, butter etc. but for the rest just having cake mix from an unmarked bag. You don’t know what’s in it, you only see the whole thing. This is simply not good enough. The European Parliament has an opportunity here to vote for real public country-by-country reporting. Anything short of real transparency will allow large companies to keep hiding crucial information, avoid taxes, and it will stifle competition, especially from SMEs who are not engaging in elaborate profit shifting schemes. After so many scandals and public outcries, it should be very clear for MEPs what they need to do to make a change: take a stand today and show that Europe can be a force for good by bringing transparency to the global financial system. Ensure that multinationals have to report their profits and taxes for everywhere they operate, so that we can all see where they are paying tax and where they are not. So that we can see what is on the inside of the cake as well as the outside.